In April 2017, a Columbus, Ohio resident called the Ohio House of Representatives to raise a concern about a topic close to her heart. Her son was diagnosed with a mild form of Autism at an early age and was now a teenager, studying to take his driver’s license test later that year. 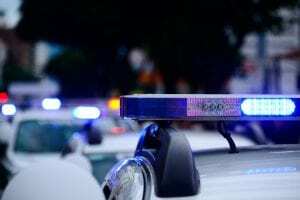 The resident was concerned about her son being able to communicate effectively with the police as a result of being pulled over for a traffic violation or routine stop. She knew there was a communication gap between the police and those with disabilities and was afraid a potential encounter would lead to a confrontation if the officer was not aware of his impairment. The concerned resident knew the police had the ability to look up records on individuals they encounter in traffic stops, so she knew there had to be some way they could use that system to inform the authorities of a driver with a disability. One year, two Representatives, and many supporters later, House Bill 115 went into effect. Ohio Representatives Scott Wiggam and Theresa Gavarone co-sponsored the bill after recognizing the severity of the communication gap in Ohio. This piece of legislation, effective August 1, 2018, allows an individual to submit a verification form to the Bureau of Motor Vehicles (BMV) to be identified as an individual with a disability and explains to the authorities that the encounter might require alternative communication methods. This disability information will only be available to members of law enforcement and will be kept completely private outside the system. The verification form is available to those with autism, a hearing impairment, PTSD, or any other communication disability. After a physician sign-off, individuals will be able to submit the form and ensure that law enforcement officers will be able to effectively communicate with them in an event of a stop. House Bill 115 was signed by Governor Kasich and endorsed by law enforcement groups and several disability organizations throughout the state. Due to the weight of the bill and the positive impact it’s expected to have, it passed unanimously in both the Ohio House and the Ohio Senate. The bill is anticipated to “improve communication, lessen the stigma, and lead to more knowledgeable and respectful interactions between the two parties [authorities and those with disabilities]”. Want more information? Check out Opportunities for Ohioans with Disabilities and learn how to apply using the verification form on the website. If you need legal representation for a disability or SSI claim, contact the disability lawyers at Liner Legal for compassionate, experienced legal guidance. Fill out our contact form today and we’ll be in touch.